This week we started renovating our current breakroom into a conference room (pictures to come in a future blog) and we began building a new breakroom in our warehouse area. 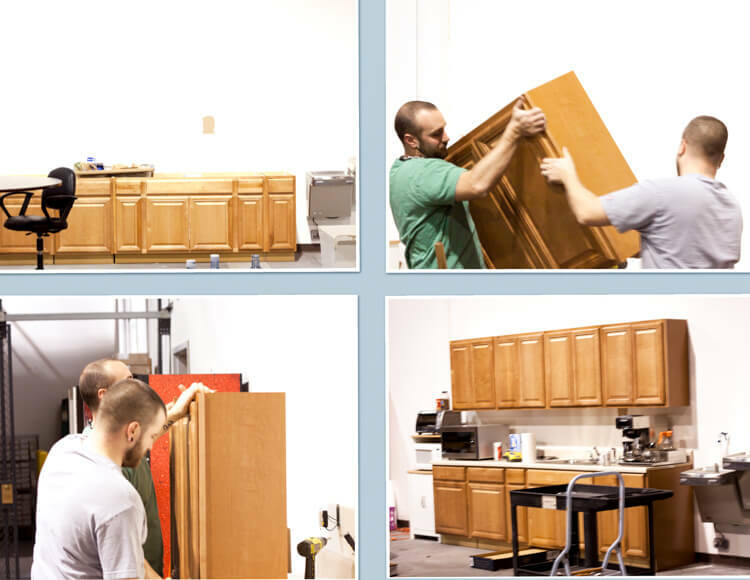 We got some nifty new cabinets and we are continuing to build it out. A big thanks to Brian and James for all the hard work they put in to getting it setup quickly so we could continue our daily 3:00pm Delicious Coffee Time – we are a little bit caffeine crazy around here. We got another challenge from one of our customers this week. 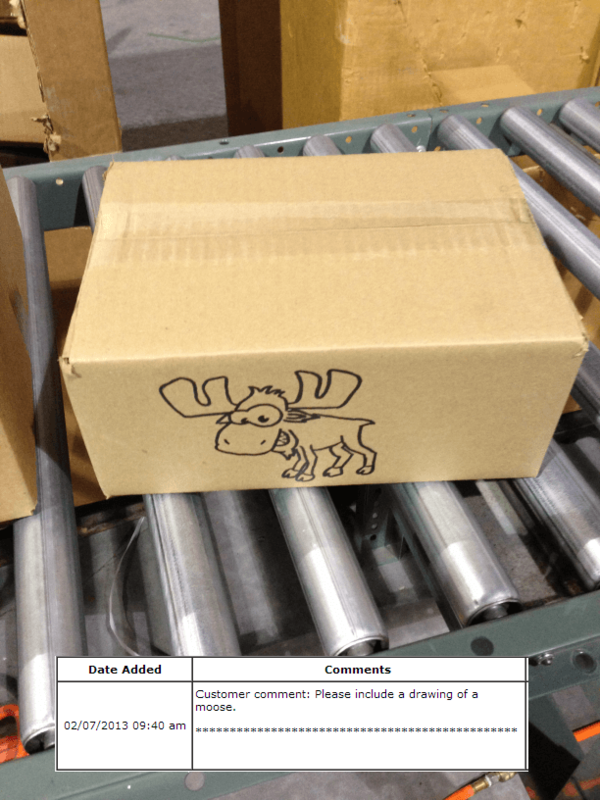 They requested that we draw a moose on their box – we gladly accepted the challenge. We love it when we get a chance to do stuff like this. Corey (featured in this blog) is the shipping guy that took this on and made it awesome. When you order, be sure to request a special picture be drawn on the box your order is shipped in. Continuing the thought of randomness…I walked back to the warehouse this week and this was hanging from the ceiling. The picture does not do this justice in a couple of ways – this is pretty high up in the warehouse and it is pretty big as well – the dolphin is about 6 – 7 feet long. 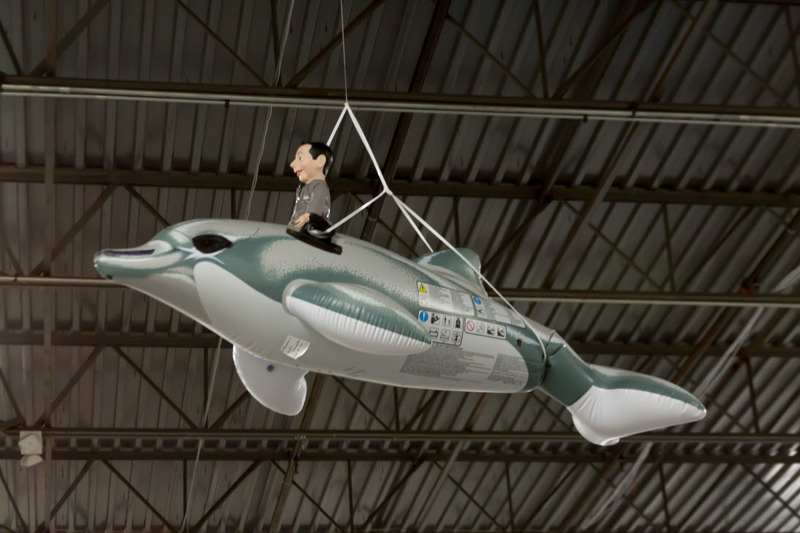 And yes, that is Pee-Wee Herman riding the dolphin way up there. You just have to laugh at the things you see around this office. Ok ok, I am going somewhere with this. 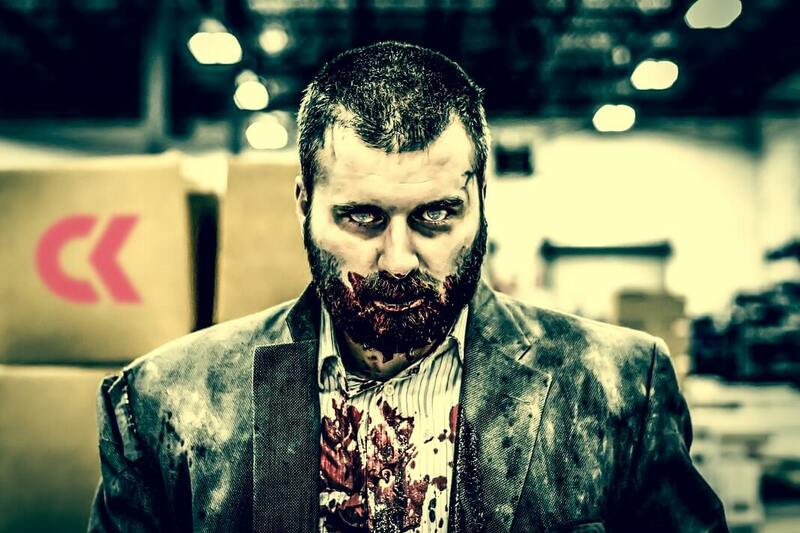 So, we all know that the TV series, The Walking Dead, starts back up this Sunday night. Well, we seem to have a rather large following of the show here at the CK office and there has been a ton of discussions around what is going to happen the rest of this season. 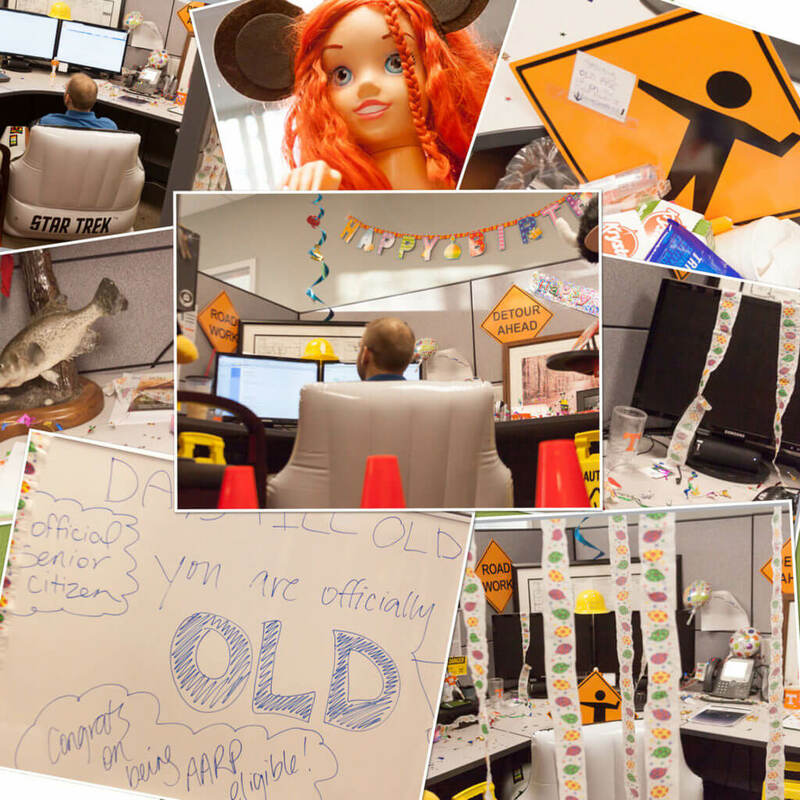 So, I thought it was appropriate to include an “awesome” photo of one of our “awesome” team members representing an “awesome” TV show in our “awesome” week in review. So, there you have it!